Your all time favorite NBA star Michael Jordan is coming back to Manila. Philippines is one the lucky place that once again fans could see the former Chicago Bulls and the Washington Wizards players. The 6-time NBA Champion and 6-time NBA Finals MVP will also going to visit Tokyo, Beijing, and Shanghai. There will be an exhibition game with local Filipino all-stars at the Mall of Asia Arena. You can also get a chance to meet the GOAT himself at Php49,990 for the 'Meet and Greet', these will be in a very limited tickets sale. Tickets will start to sale on April 1, 2019. 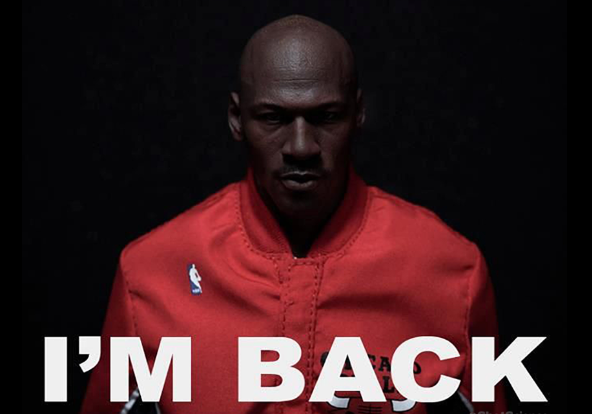 “I can’t wait to share my love for basketball with the basketball fans in Manila,” says MJ. “This is sure to be an experience that no one will ever forget.” The basketball tour, dubbed “I’m Back” is an idea to connect Michael Jordan with his fans all over Asia and to finally make his fans’ dreams come true. "After more than a decade away from the game, I'm electing to end my retirement and resume my career as an NBA player." "I may be 53 years old, but I'm confident I can play against anyone, anywhere, at any time. And there's no way I'm going to just stand by while Kobe sits above me on the all-time scorers list." With only a few regular season games left on the schedule and tough competition in the East in the playoffs, Jordan pledged to use these next few weeks to springboard towards a grander return next season where he guaranteed a championship for Charlotte in 2017.